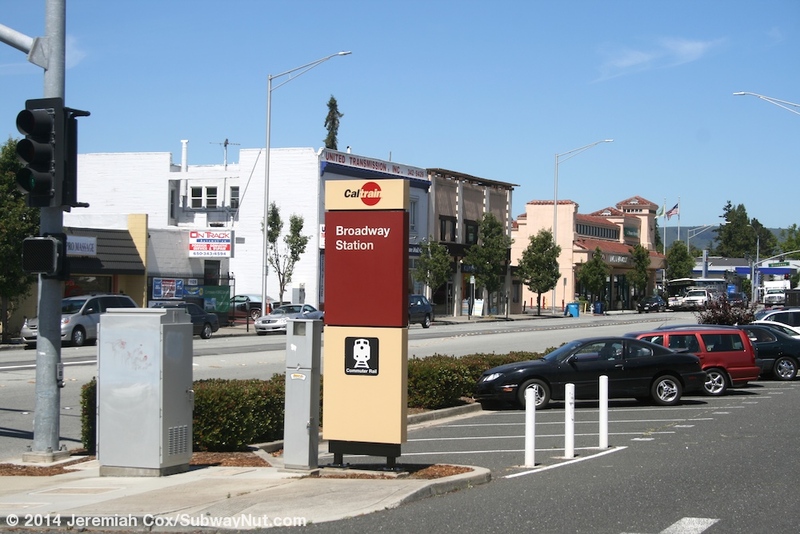 Broadway is a weekend only Caltrain Station and has been since August 1, 2005 because attempts to renovate the station to have two side platforms instead of the current side platform along the San Jose-bound track and level-crossing boarding area to the San Francisco-bound platform haven't come to fruition. 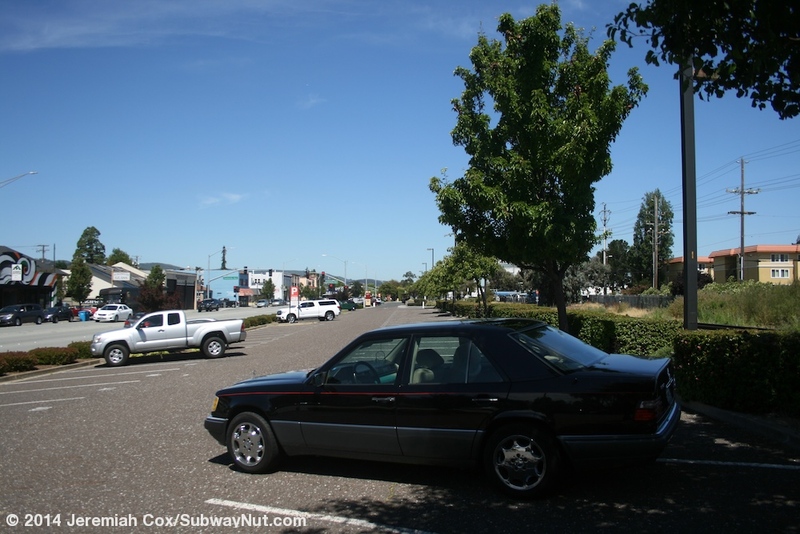 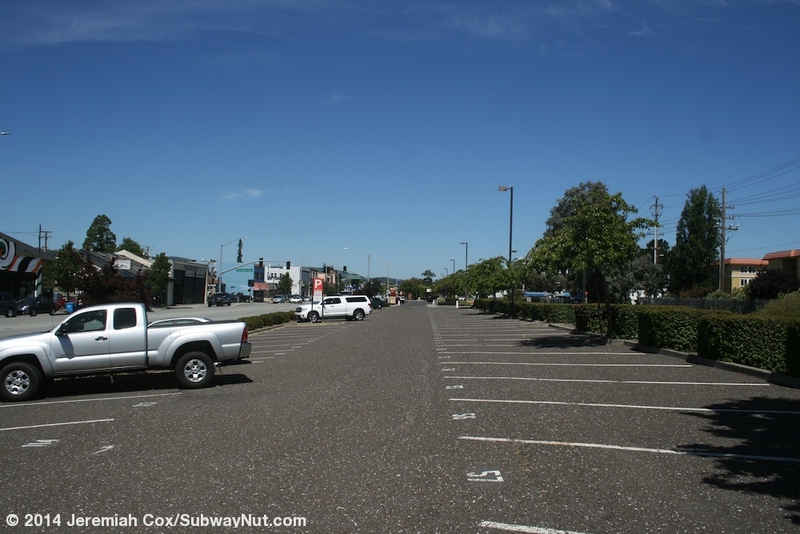 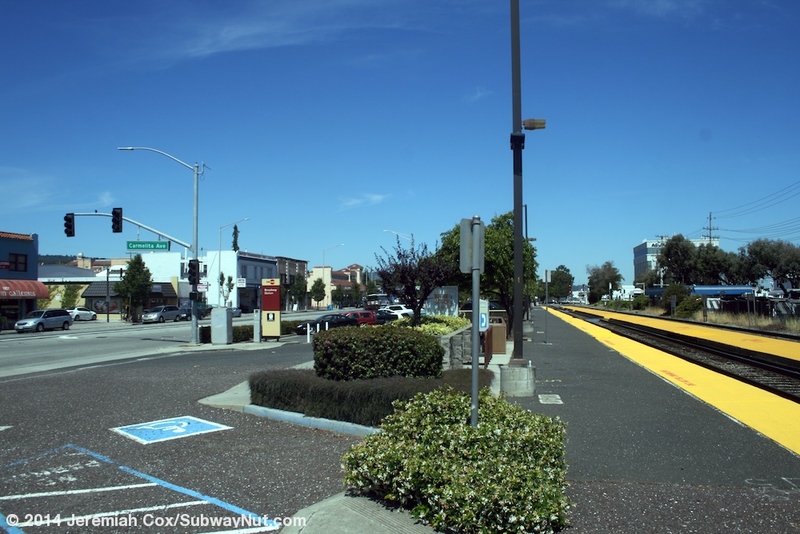 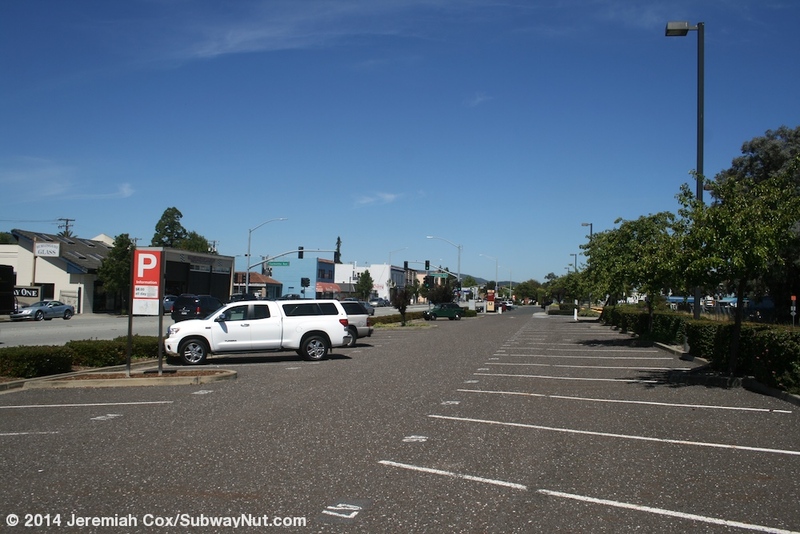 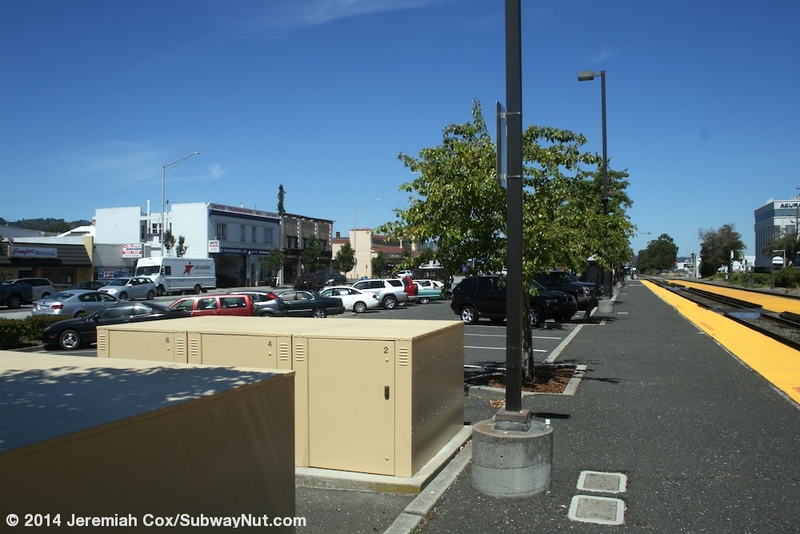 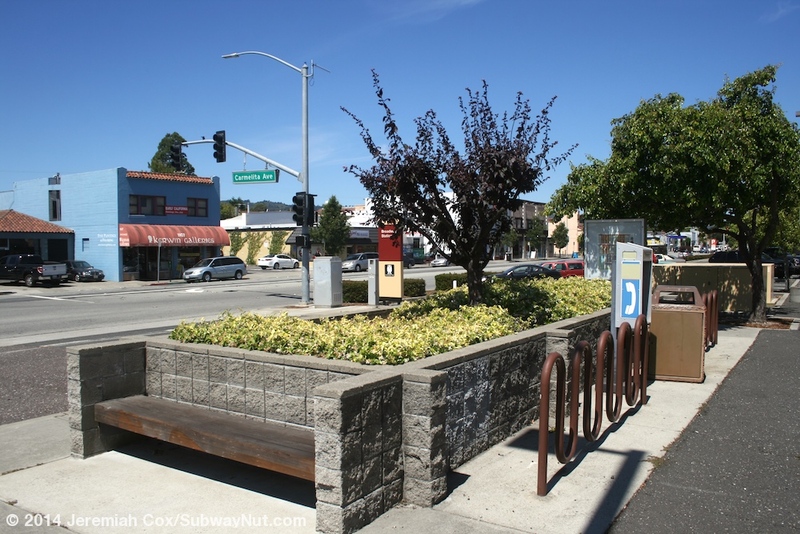 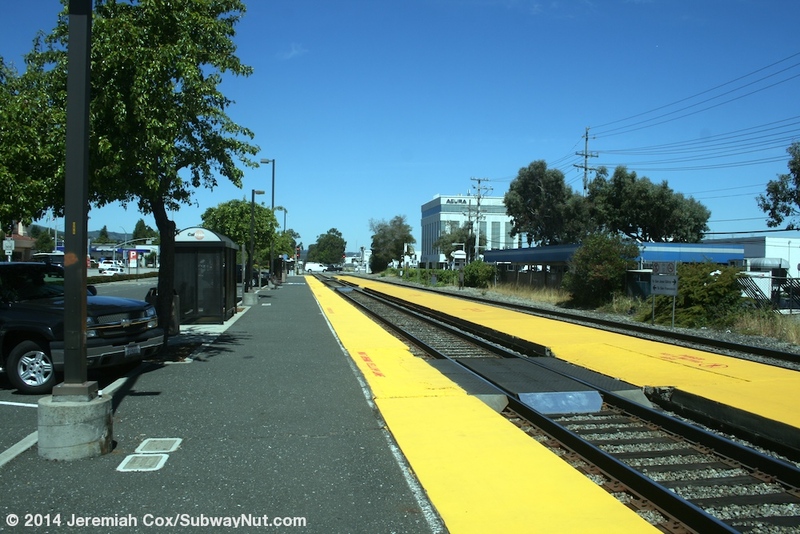 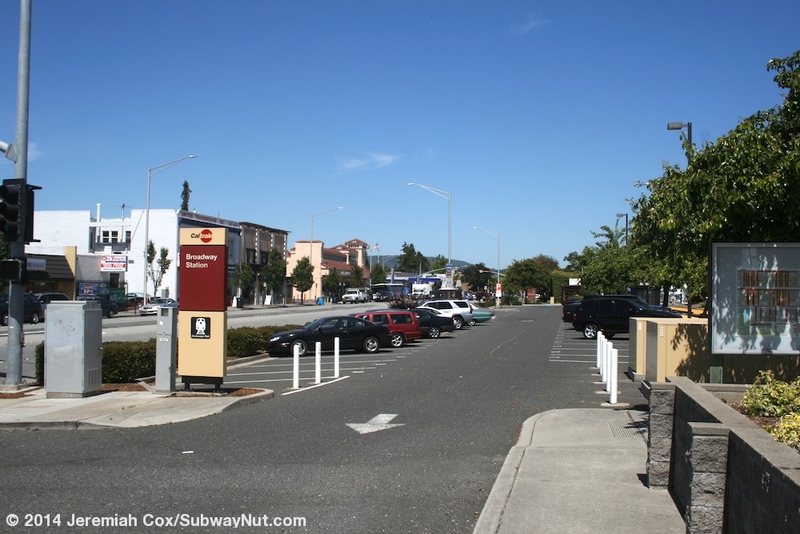 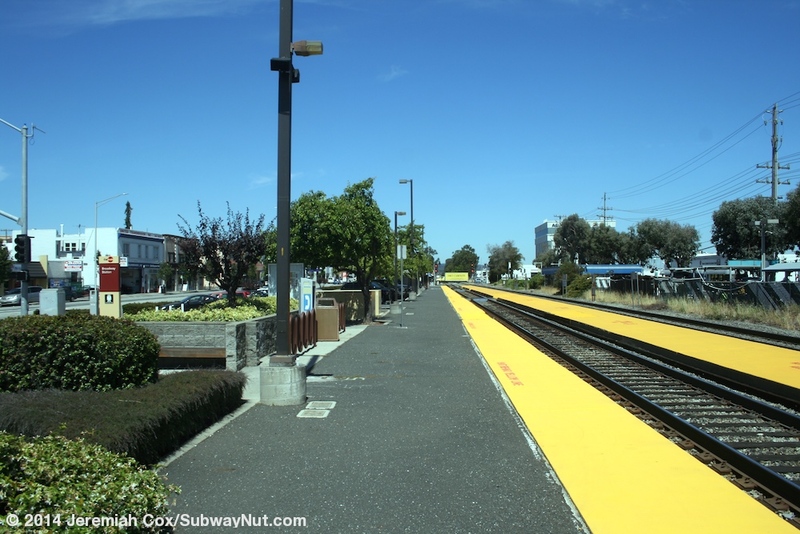 Current proposals include grade-separating the line at the grade-crossing of Broadway. 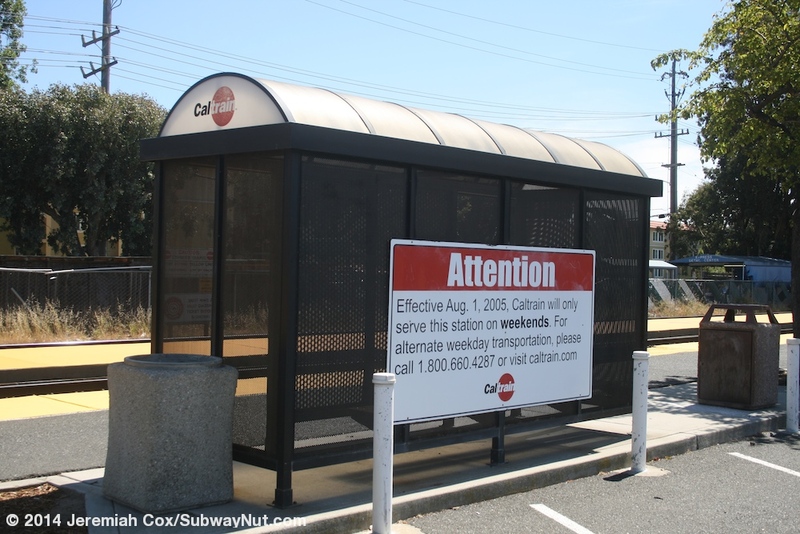 The station though receives enough commuters from its surrounding area to warrant Caltrain continuing to operate the rush hour shuttle (Atherton, the other now weekend only hold-out station had its shuttle discontinued because of a lack of ridership in 2007) with a free shuttle running to and from the Millbrae BART Station during rush hour. 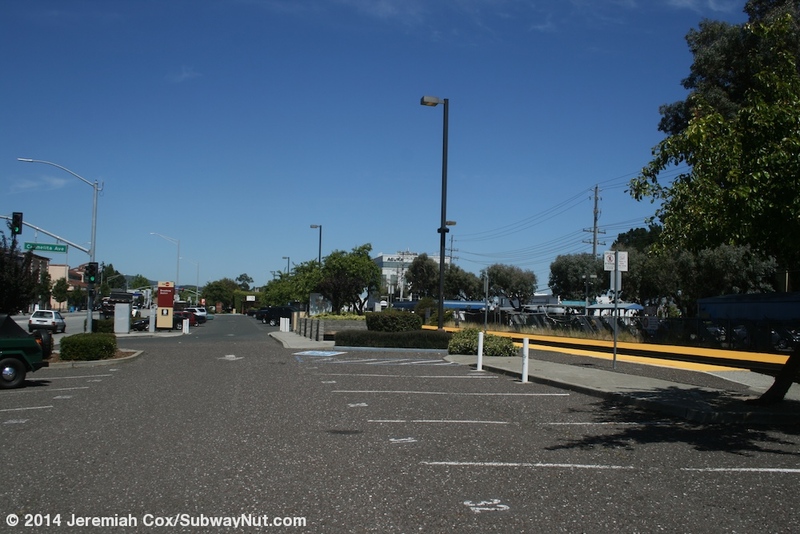 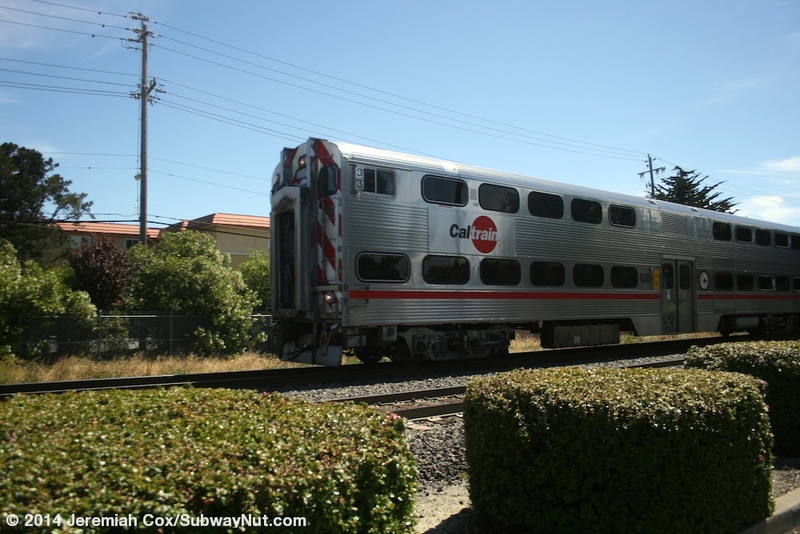 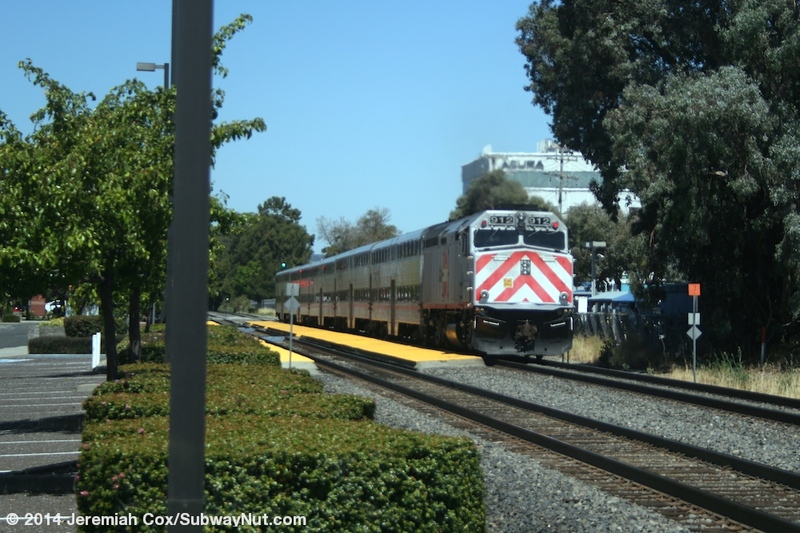 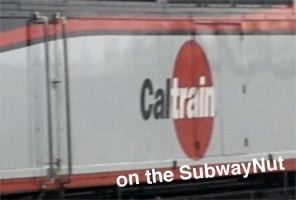 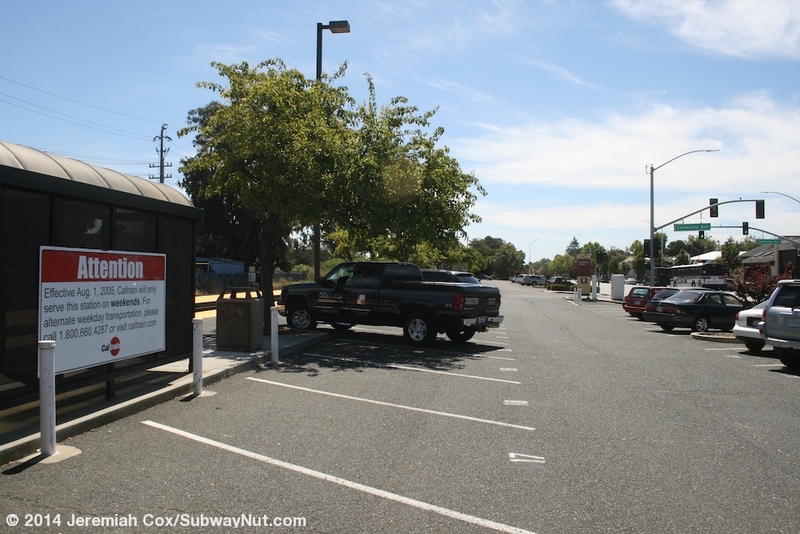 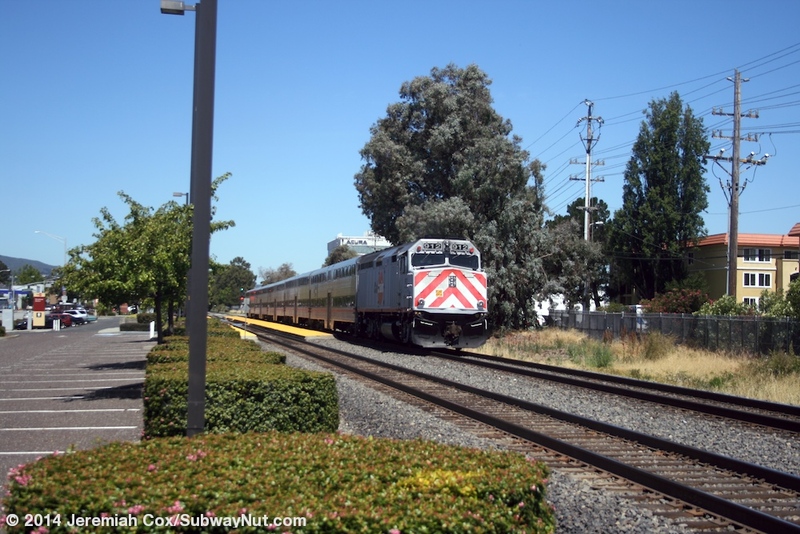 The lack of weekday service doesn't mean the 119 parking spaces at the station are free, it charges the same fee as all the other Caltrain Stations. 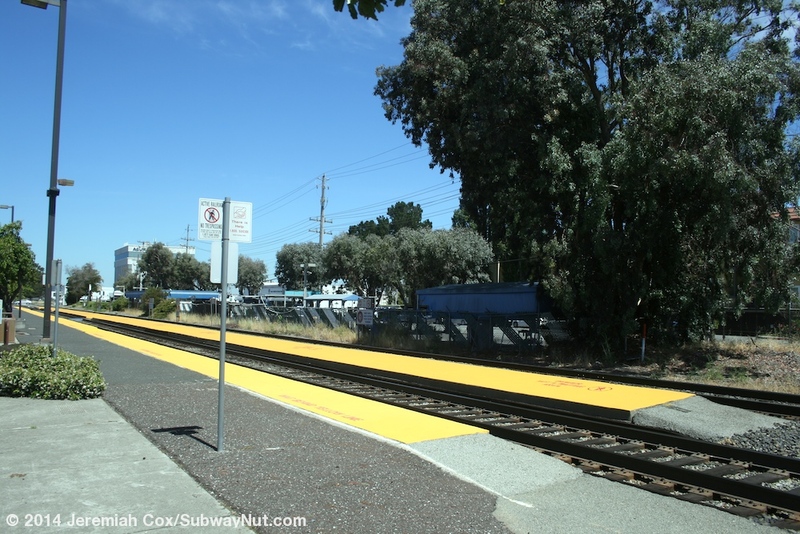 The station with its hold-out platform design is located just south of the grade-crossing of Broadway with the parking it along and narrow lot between the station and parallel California Drive. 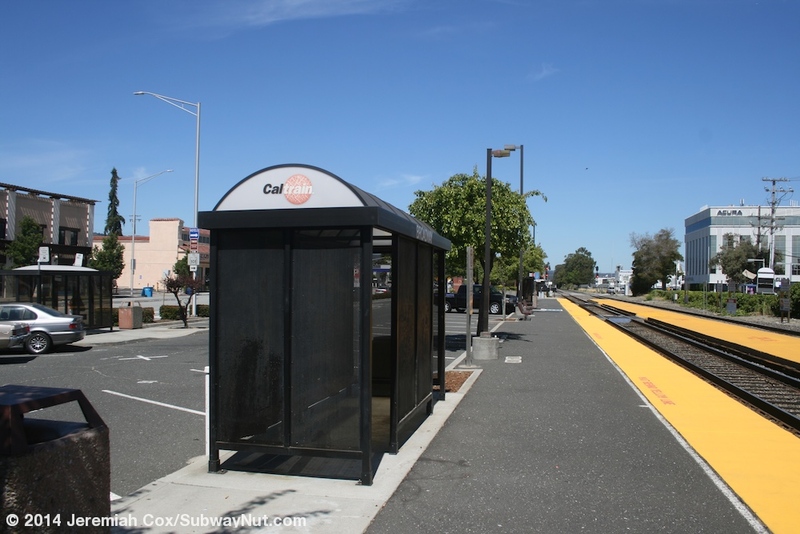 The only amenities for waiting passengers are four black, bus stop style shelters. 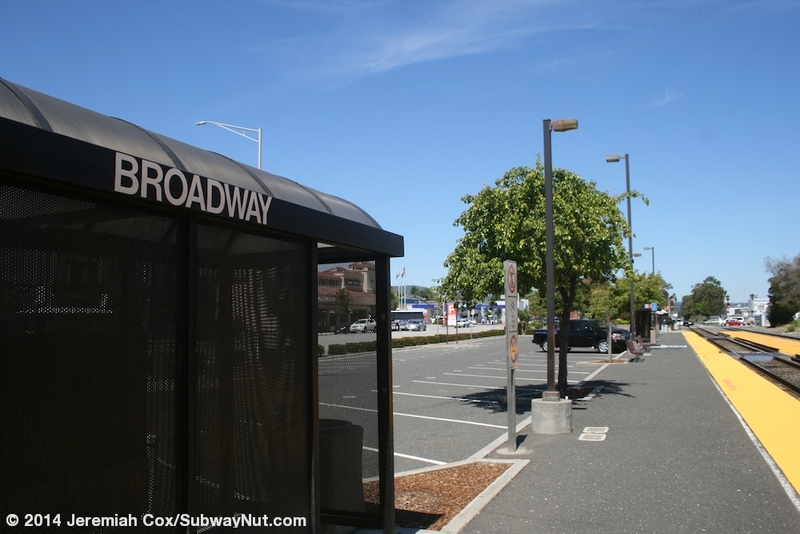 Between the parking lot and Broadway is an old but small concrete building covered in ivy. 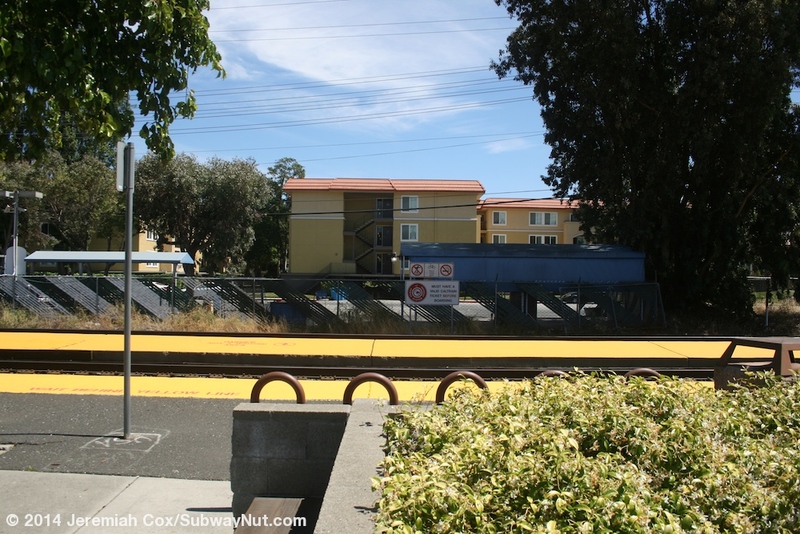 I believe this is the original station house and occupied by Brio, a now closed Italian restaurant.